Pages from a Young Diary: How not to be taken for a ride..
How not to be taken for a ride..
Don't think literally, though. Because if the ride's a convertible and the driver is friendly, I'd suggest you jump at the opportunity! But I'm talking metaphorically today, so what I mean to say is, you cannot and should not do anything that doesn't make you happy (parental rules excluded), especially if it's something "for" other people. In our world, particularly where I live, we have this "tradition" of treating people lower to us in power like muck. I'm sure you'd have been a victim of such power play at least once in your lifetime, just a handful of times if you're lucky. You might not be verbose in your demeanour, but don't let that seem like you're easy to fool. There will be many who, in the name of 'professionalism' would look at material benefits rather than human emotions and preferences. It's not entirely the fault of such people, sometimes it's just the way they've seen the world around them go and they genuinely believe that it's the only, and the right way. However, it's important to know that there do exist people who've the capability and inner will to look beyond the "only" way. A normal person might not like how he is treated, but he'd take it as it is because it's the only way he's known. A learned, strong person would have a belief, he would feel empowered from within, not caring about the usual, "what would people say?" and behave in the way he feels comfortable. You've got to respect yourself and the first and most important way to do that is to believe in your own self. Most of the people who are easy to take for a ride, to be taken for granted are not aware of their own power, or their rights. Just because they're not used to thinking about it. Spend time knowing yourself better, be aware of your capabilities and limitations. Know what you're not comfortable with and never, ever settle for anything you don't want. Be firm. If you believe what you're doing/saying/standing for is right, don't lose your stance. There will be many who'd try to influence you, but you've got to stay put. And really, the so-called "consequences" are just petty and small in the long run and would in no way affect your happiness, or the lack of it. Someone got upset because you said "no"? It's their problem. They lack understanding and have higher expectations than necessary. 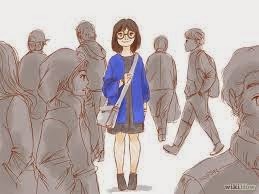 Stop worrying about it, because there would be ten more people who're constantly worried about saying 'no' to something and they will definitely look up to you and take inspiration. Be a motivator. Be strong. I've previously also mentioned how I feel we are experts at complicating our lives, just because we worry too much about other people and their feelings and their reactions (a note to my friends: yeah I know, this is such a hypocritical statement :P). How about for a change, you think about your feelings first? Only the dumb ones would be hurt by your decisions and you'd do better to be in smart, strong company. It's not as difficult as it's made out to be. Because it always takes time. Things seem complicated because they tend to extend over a period of time and we lack the faith for things to turn out okay. Looking back and connecting the dots, we realize how simple it really was. But well, it's human to feel like that. It's okay. Just accept it as a phase and live it through. Why get over-stressed about it? Being with yourself, spending a little time suspended, away from noise would give you a sense of being. It's really peaceful, if not important to experience. It gives you perspective. If you are at terms with your own self, it becomes easier for others to interpret you to some extent and considering how dynamic human nature is, that does mean a lot. Keep smiling, look at your family pictures from years before your birth, make plans for how you'd want your future to be and work on self-improvement. Be driven and motivated. Help those who aren't as strong willed or able as you are. Stop worrying about people because like someone said, they're all going to die. You would too, so live well. That's all for the gyaan. I know I've been AWOL from this precious place, even though I had been dying to update y'all. I'm DONE with my Masters! Yoo Hoo! Five straight years in college. Can you believe that? Now all I've got to do is settle for something "I" like. It'll take some time, but I'd do it. At least I know what I'm looking for. I'm on a restful break right now, trying to recuperate recover from the college shock life. :P So far I've mostly slept, seen myself getting fat(ter), read some, reviewed some, caught up with family and relatives, cooked a dish for the first time (which surprisingly, turned out awesome *_* ) and re-made plans and ideas about what I want to do now. Hey Ashna, reading this post was like breathing in optimism and having a great end to a day, filled with good feeling and eagerly waiting for the next morning. No it might look like I am trying to butter up so as to get the next post sooner, but believe me, this is what I had the utmost belief in during the somewhat unexciting days you had while in your not so amazing college. That you'd jump back to being the former and lo, you have! You have and it is so good to read this post. I can't agree with you more on every point that you discussed here. It is the philosophy which one should always remember (and act too on ;) ) so as not to be taken for a ride and hence after end up paying too. People need to realize that the apparent crude behaviour that is so much taken as being professional and 'serious minded' is nothing but 'selfish' at every level. And living in a civilised society, it is too bad(sad even) to see people pay no heed to others. You know, from one of the recent incidents(you know which one I am talking about), I got reminded of a statement that I heard one of dad's friend say. He said, 'people exude themselves as civilised if they wear good clothes and have no thought about their fellow citizens. Clothes don't make one civilised, mannerisms do!' This apply so perfectly to the case that I can't help but give an inner smile. P.S: Dude, it is thursday already?? I had a TT idea too, shoot!! Next week maybe.. The only thing that I could read in this post was joy mixed with liberal doses of optimism. 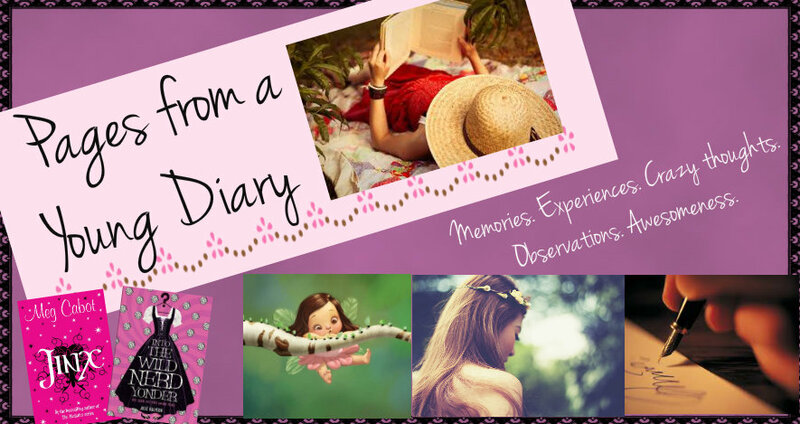 Love the way you write about such simple joys of life so beautifully Ashna! Looking forward to your TT post!